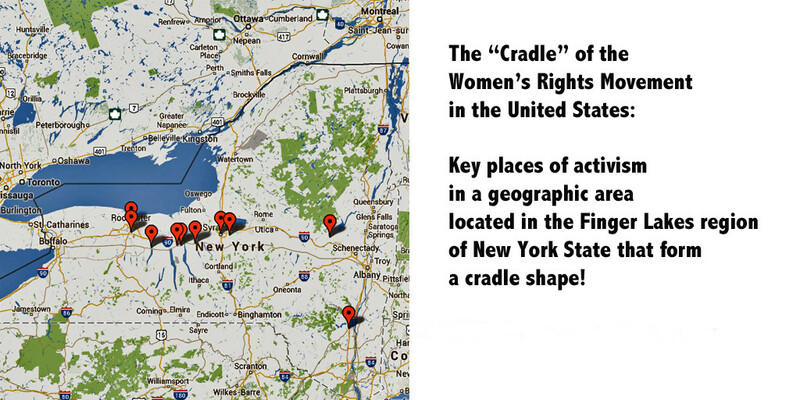 Where is the “Cradle” of the women’s rights movement? The State of New York celebrated 2017, the centennial of its women voting, with a wide range of offering of events and special programs. The year 1917 was a tipping point in the national effort for the right to vote when New York’s men took a leap and approved the ballot for the state’s women. The fact that New York used a referendum, rather than legislative action, demonstrated the extent to which public opinion has shifted since 1915, the first state referendum that didn’t pass. For some today, 2020 isn’t an important mark in time. They’d just as soon have the year pass without notice. However, it’s too late for ignoring the historic observance. A national suffrage commission is in place. States have had centennial celebrations over the past decade. A task force, #2020centennial, has been busy spreading the word and preparing to list events and celebrations across the nation. PBS American Experience will air a four-part documentary during 2020, and the postings on SuffrageCentennials.com will be a regular feature from now through the centennial year when US women will have been voting for 100 years. The first wave of the women’s rights movement joins the other waves later in the 20th century. Without one wave, the struggle for equal rights would have been much different. One wave built on the accomplishments of the others. Follow the suffrage wagon. We have been publishing since 2009. News from the first wave of women’s rights descendants! Thanks to NYS Museum for suffrage wagon exhibition, PLUS book news!! It wasn’t an accident that the western and central regions of New York were ahead of their times in advocating for women’s rights. This was the “burned-over district” where in the early 19th century religious revivals and formation of new religious movements took place. The Hicksite Quakers got their start, the abolitionists were strong, Frederick Douglass was supported by religious friends in his work. The status of women was first addressed in churches and meeting houses.